Floridians enjoy life outdoors in the Sunshine State … that’s why most of my new home buyers turn to “Elegant Outdoor Kitchens” to Maximize their living and entertainment space and also add more value to their homes. Life is too short to wait…start living the lifestyle… Call today….. 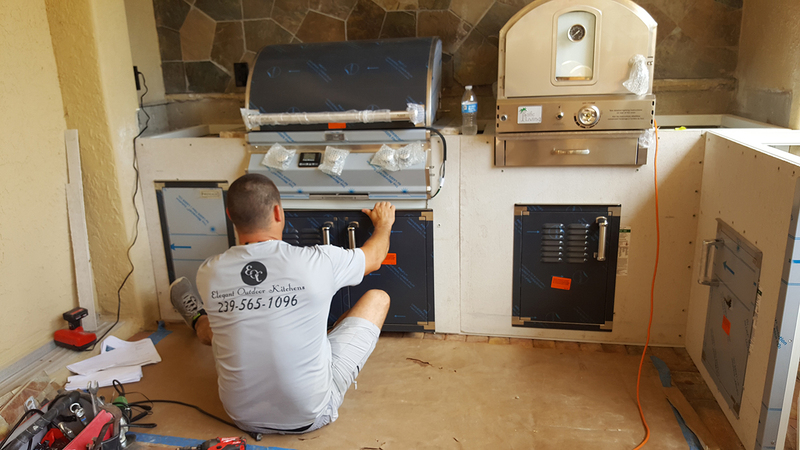 In this article, we’re going to help the everyday average home owner understand the basics of outdoor kitchen & living area construction. Along with the differences between an outdoor living area and a barbecue island or outdoor kitchen. This article isn’t for the do-it-yourselfer, it’s not about building an outdoor kitchen, it’s simply a crash course that will help you understand what’s available. It will be split up into numerous articles. So, we recommend you subscribe to our RSS Feed. You can subscribe to our RSS Feed through the link below. 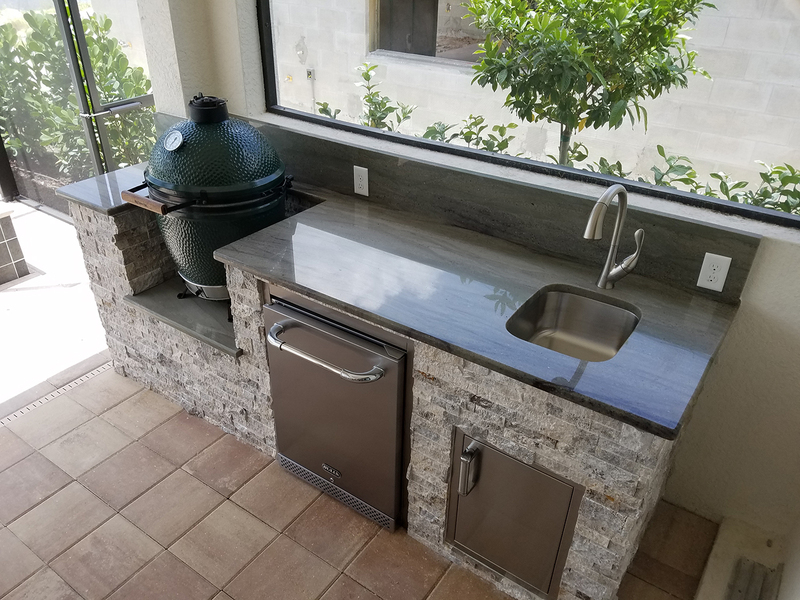 If you’ve been considering a custom outdoor kitchen, look no further than Elegant Outdoor Kitchens of Southwest Florida! Note: In this article we’ll use the word outdoor kitchen, BBQ Island, and Barbecue Island interchangeably. All we’re referring to is the structure that contains your grill & components. A custom barbecue island can be used for so much more than cooking/grilling though. 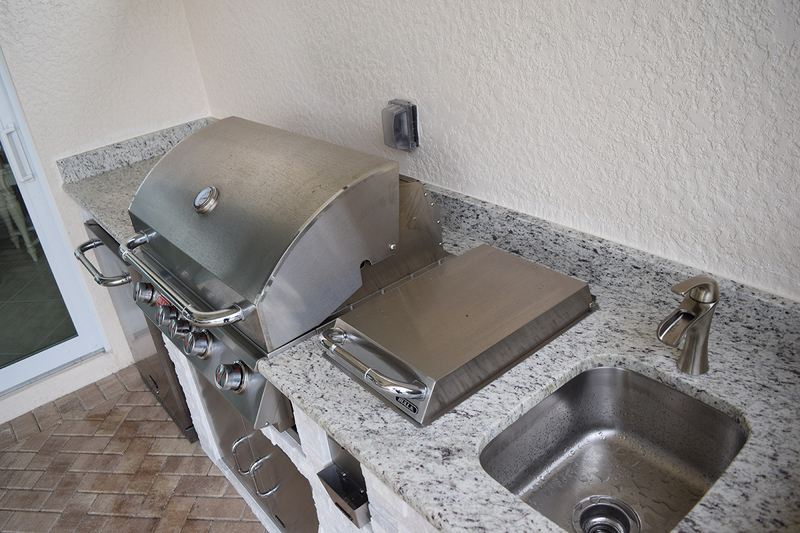 Some custom outdoor kitchens include bar height counter-tops, prep-areas, fire features and more. 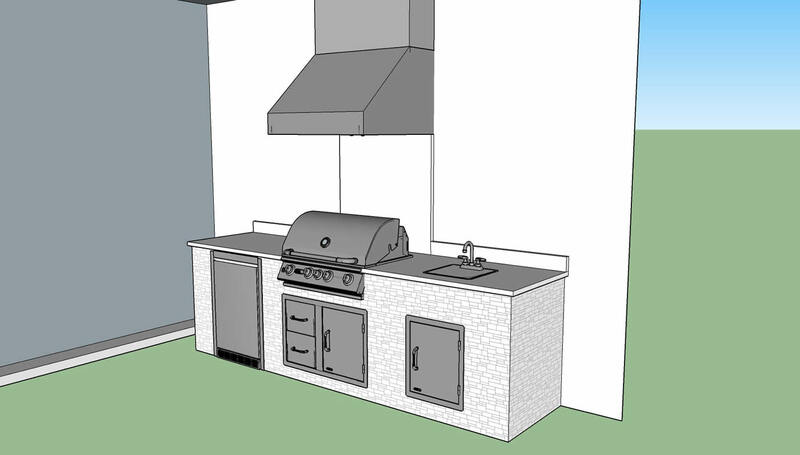 In today’s article, we’ll be talking about the outdoor kitchen or barbecue island. 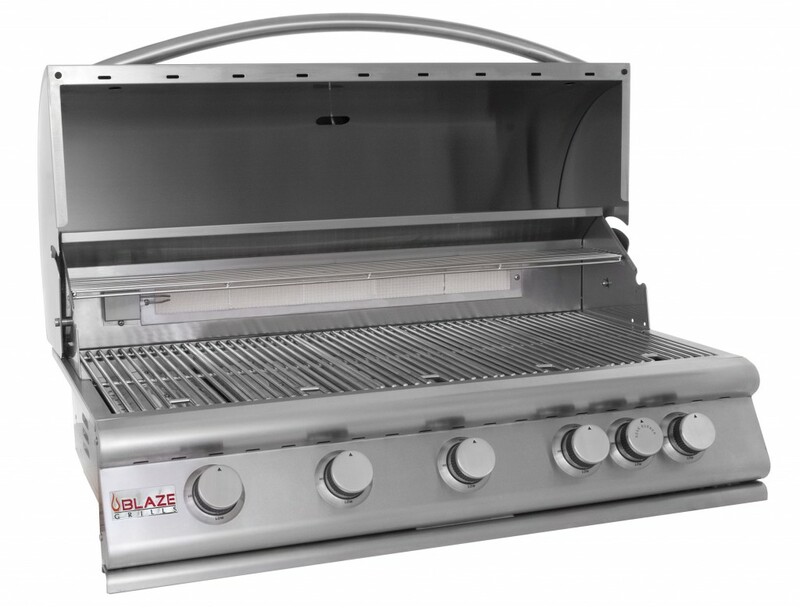 The barbecue island is your outdoor kitchens structure. The island is the structure that will hold all the professional components you choose to include. 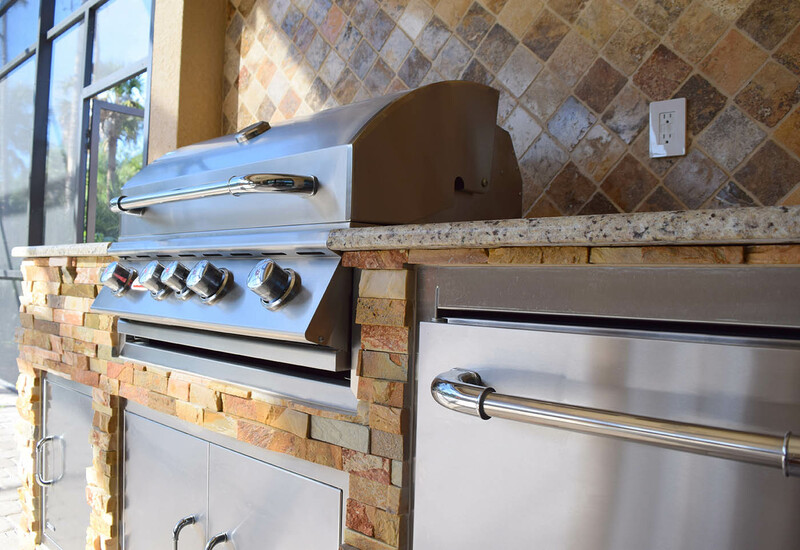 Outdoor kitchen components such as a barbecue grill, sideburner, power burner, stainless-steel storage doors & drawers, and any other components you choose to include. 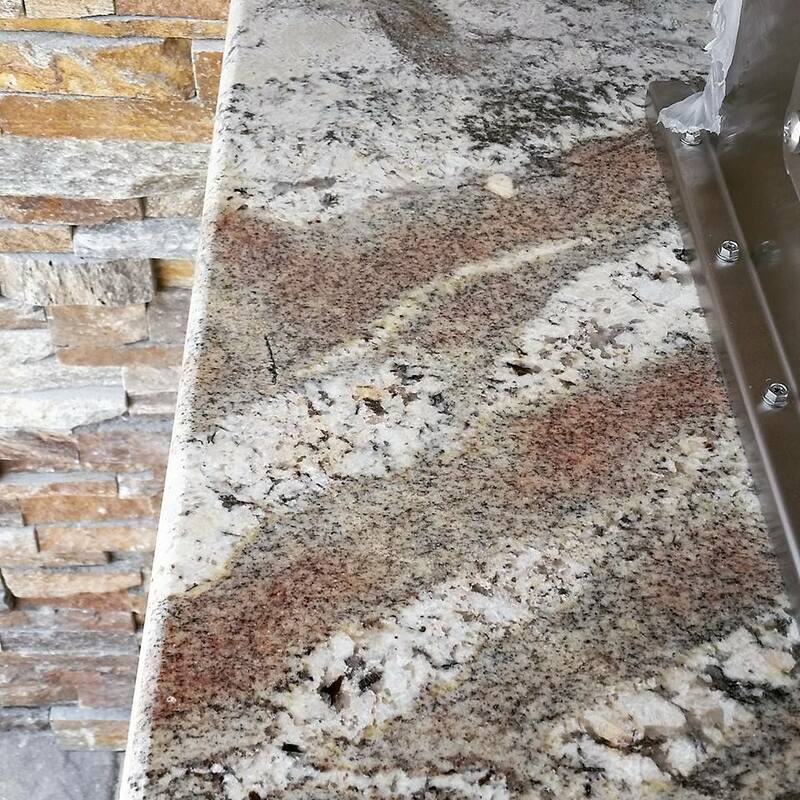 It’s always best to consult with a professional outdoor kitchen contractor before you start purchasing any components for your BBQ Island. A professional outdoor kitchen builder will help to assess the outdoor space you have to work with, design a structure using the latest in CAD (Computer Aided Design) technology, and guide you through the entire construction process. You wouldn’t build a house without consulting with one. Building an outdoor kitchen isn’t any different. This is a structure that will be used regularly, it will contain components that utilize an open flame and reach extremely high temperatures. It’s always best to bring in a professional to assist or even to build the entire BBQ Island. At Elegant Outdoor Kitchens, we build quality custom outdoor kitchens that are beautiful, safe and built to last. Our professionals will help you understand your design options along with many other choices you’ll have. After the EOK professionals survey and assess the area you plan to build your barbecue island in, we move on into the design process. Our design team will work closely with you to understand exactly what you want and expect from your new kitchen area. After our team is confident they understand your needs. We then start creating 3D renderings of potential design options. All our designs are visual and 3-Dimensional. This leaves little to chance or imagination. We enable you to see your custom outdoor kitchen design, before we ever start to build. This process allows us to modify, add, and remove elements until you are totally satisfied with the design. This eliminates most errors and misunderstandings that can occur during construction. The Elegant Outdoor Kitchens design process is top notch. Our professional team is here to make sure you receive a product that you’ll love. Are you interested in seeing some our handy work? Visit our Elegant Outdoor Kitchens project portfolio page to view some of our amazing outdoor kitchen designs. 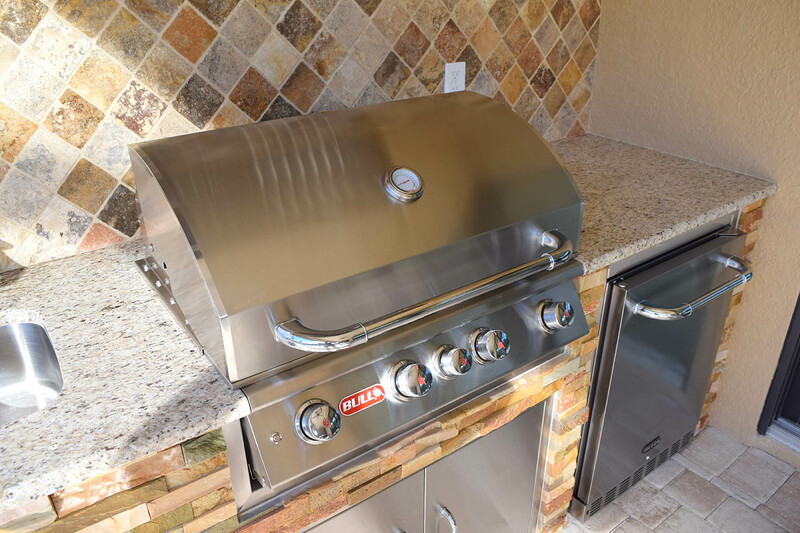 We’re one of Southwest Florida’s leading professional outdoor kitchen manufacturers. Give us a call today, let’s start building! Visit our official Facebook page to learn more about our company. There you’ll see just what people are saying about us!